Jack Rabbit Ranch is a one-of-a-kind mountain top sanctuary, reaching heights over 2,000 feet, with breathtaking views of Carmel Valley, Carmel Bay, Monterey Bay, Salinas and Santa Cruz. The 262-acre ranch has two contiguous parcels; 77-acres and 185-acres respectively. JRR is an unspoiled paradise with abundant wildlife and unbelievable views. The location of the ranch on the Monterey Peninsula allows you to fully enjoy the incredible lifestyle offered by this region. JRR is a quick 10-minute drive to Carmel Valley Village, a budding wine region, and home to fantastic restaurants, including 25+ wine tasting rooms. 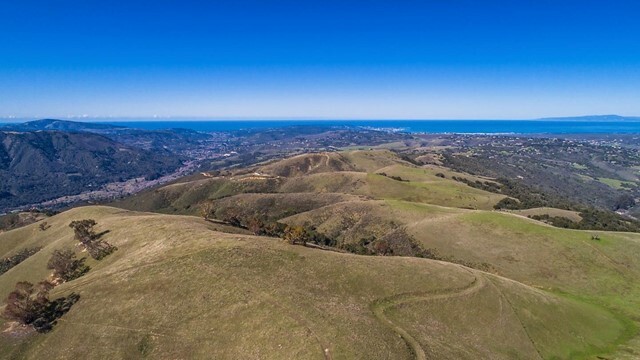 The Ranch is a 20-minute drive to Carmel by the Sea, a 30-minute drive to Pebble Beach where you can enjoy world-class golf, and for the car racing aficionados, Laguna Seca Raceway is only 20-minutes away. This region is known for its sunny, mild climate throughout the year, perfect conditions for a vineyard or equestrian estate. The property is gated and extremely private.